My oldest daughter has really sensitive skin and lots of allergies, so ever since she was a baby, we have had to be careful about what we put on her skin. After talking with the dermatologist we switched to all fragrance free and really gentle cleansers, soaps, lotions, detergents...everything. But the more I've educated myself on chemicals, the more I have realized that those "gentle" products still have harmful and harsh chemicals in them! She is long since potty trained, but my youngest daughter came down with a bad diaper rash a couple of weeks ago out of the blue. 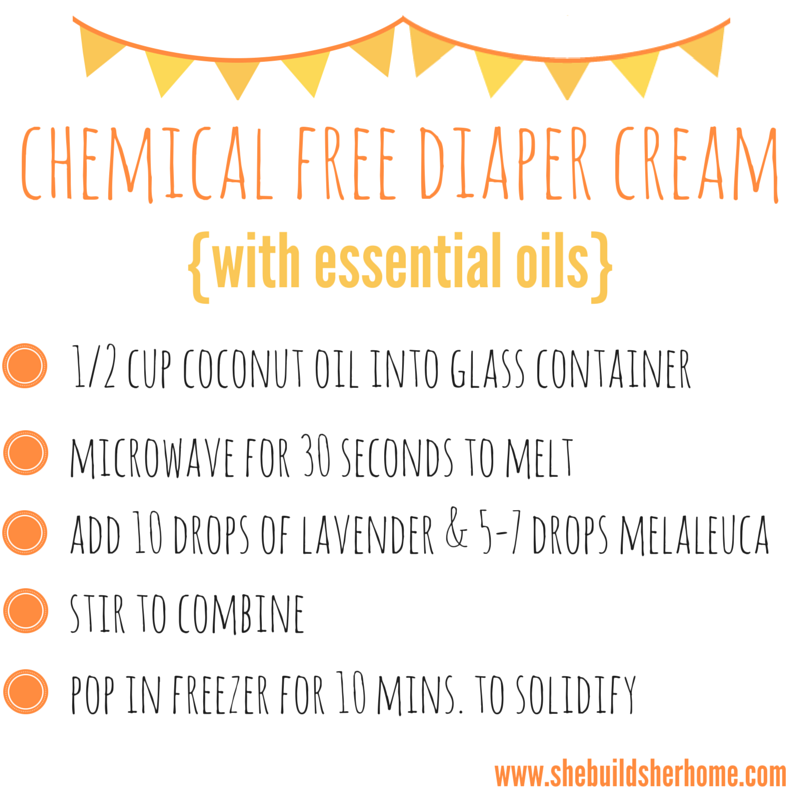 This was the perfect opportunity for me to whip up some all natural diaper rash cream and try it out! I had these little jars from the Target dollar spot waiting in my bathroom closet and wasn't sure what to do with them, and when this happened, I knew exactly how to use one! What you'll need: Glass container of some sort Coconut oil Essential oils (I used Young Living brand for this cream) *Lavender *Melaleuca Alternifolia (Tea tree oil) Spoon for scooping and mixing First, take about 1/2 cup of organic, unrefined coconut oil and scoop it into your glass container. Microwave the oil for about 30 seconds-1 minute until it is a liquid. Add 10 drops of lavender essential oil, and 5-7 drops of melaleuca essential oil and stir to combine with coconut oil. Pop in the freezer for about 10 minutes to solidify the cream again. That's it! It took me 2 minutes and I had everything I needed on hand. ----- $2.83 for 4 oz. 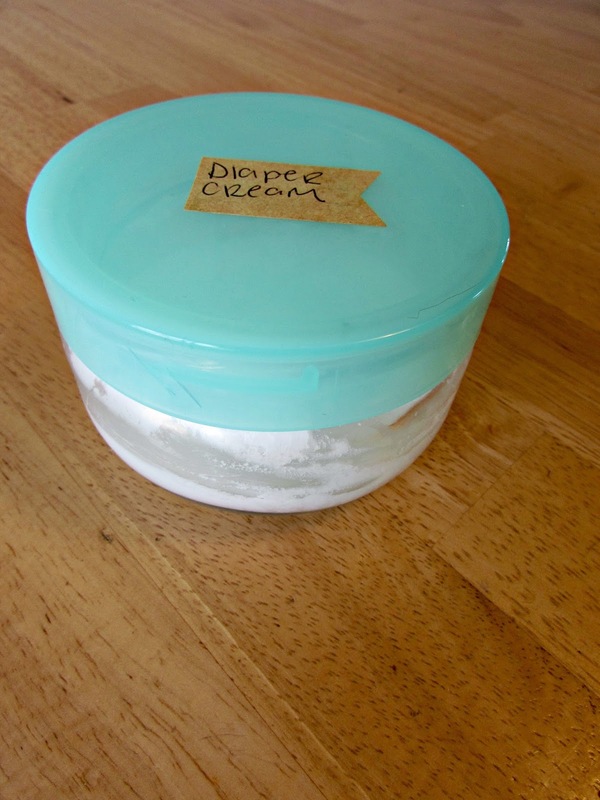 of homemade, all natural diaper cream (This is a 48% savings from Desitin and would be even more for "all natural" ointments!) A little bit goes a long way so I expect this ONE batch would probably last throughout the diaper era for a kiddo! 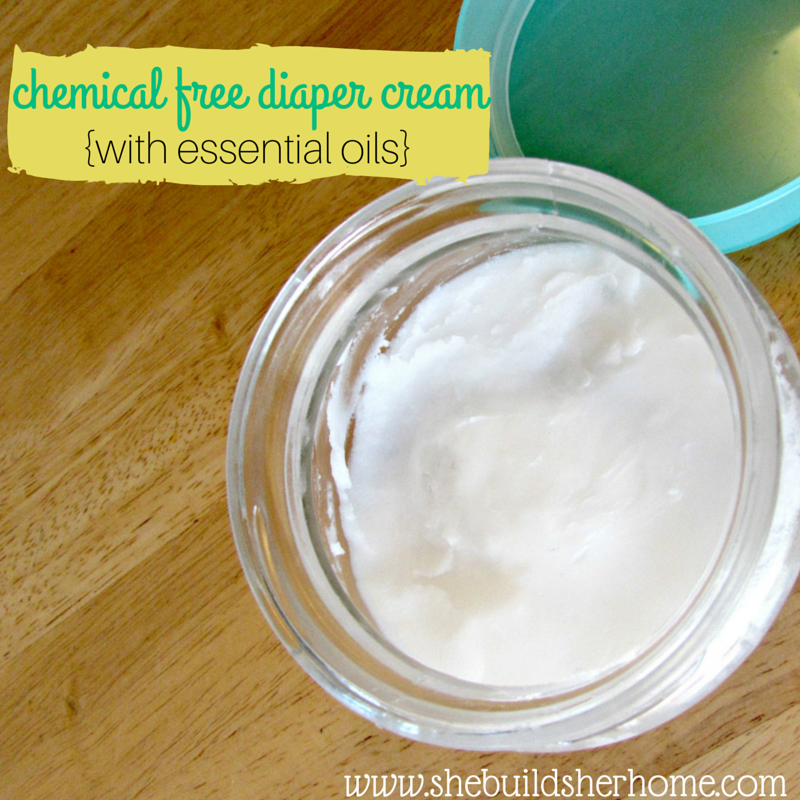 Have you tried a DIY diaper cream before?